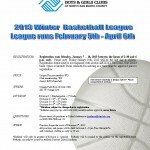 The Boys and Girls Club of North San Mateo County Athletic League has announced the 2013 Winter Basketball League. 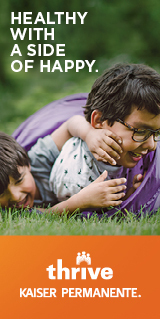 The league runs February 5th to April 6th in SSFREGISTRATION: Registration runs Monday, January 7 – 18, 2013 between the hours of 2:30 and 6 p.m. only. Please note: Friday January 18th, 2013 will be the last day to register. Registration forms must be accompanied with all fees and is on a first come, first served basis. Space is limited! Those interested in entering as a team must be approved prior to registration. *Divisions subject to change due to registration. *Athletes may play up a division with parent/guardian approval, never down. *Refunds will only be granted if division is canceled. Refunds will be mailed to the address on the registration form. Refunds can only be issued by Athletic Director Djibril Anthony. Interested in coaching or being a referee? Please contact Djibril Anthony! ← JOBS! It must be Monday!